Wikileaks has been in some financial trouble for a while. Since it launched with thousands of classified US documents, numerous attempts by the organization to help fund its cause have been met by various issues preventing it, including denials by Visa and Mastercard. 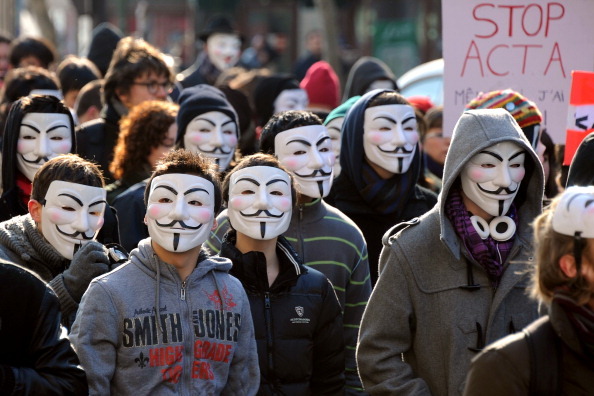 In both cases, hacker group Anonymous responded against both credit card companies. But now, in its latest attempt for funds, Wikileaks has implemented what Anonymous calls a “paywall” when accessing the Global Information Files. If you went to the site, you would be greeted by a overlay screen that would request you for donations to support the organization along with a parody video of one of President Obama’s speeches. Supporters could pay using, interestingly enough, their Visa or Mastercard charge card and could share the video, donate in other ways, or tweet out the page. It’s important to note that Wikileaks itself is not behind a paywall, only the Global Information Files page. Nevertheless, Anonymous has taken issue with this “paywall” and has taken to Twitter to let Wikileaks know. They have continued to monitor the site and insist that the organization take down the paywall — and they reminded Wikileaks that the group supported it in the beginning. There are reports that it has done so, but others are saying that it’s still up. In addressing the issue, Wikileaks tweeted out alternative ways to get past the paywall if you didn’t wish to donate, but that was met with mixed reaction, with Anonymous tweeting back. It appears that Anonymous wants access to Wikileaks to remain true to the spirit of information freedom. According to Forbes, this is the latest news to affect Wikileaks as earlier in the day, it had advertised that it had files allegedly stolen by Jeremy Hammond, an apparent Anonymous member arrested earlier this year on the attack on Stratfor, the U.S. security firm from which the group stole credit card information and other sensitive data from. The Global Information Files allegedly contain over five million e-mails from the firm.